I don’t love homeschooling, but I love my children. Sometimes it just takes a little course correction to get back on track. 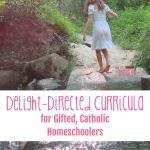 When we first started, homeschooling was the Holy Grail. The Balm of Gilead. The fluffy icing on my chocolate cupcake. Now it just feels like a snowman melting in the mud. Four years ago, I pulled my oldest out of school because of the pressure. Pressure to get up on time. Pressure to get out the door. Pressure to perform in a hostile environment. Pressure to get homework done. Pressure to get to sleep on time. Pressure to start the whole darn thing over again when the sun rose. At bedtime, I would hold my daughter in her bed while she sobbed into my shoulder. In what world is this okay? 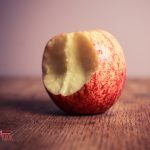 At the time, it was the one in which you so desperately want your own child to have the Catholic education of your youth that you keep her in the school, hoping and praying things will get better despite mounting evidence to the contrary. Yeah, that one. The Kingdom of Magical Thinking. We limped across the school year finish line, battle weary and broken. And then, because we might actually have been certifiably insane, we looked at putting her in the public school. I knew I needed to homeschool. I was terrified that I needed to homeschool. It took several IEP meetings and a tour of the neighborhood school to finally convince me I needed to homeschool. And so we did it. It was lovely and beautiful and joyful and everything we hoped it would be. For three years we lived in blissful homeschooling peace, until I ruined it all with a giant scoop of I-don’t-even-know-my-own-limits. I’ll spare you the grisly details, but suffice it to say I decided I could teach a class, take on a full load of tutoring students, pursue freelance writing and blogging as a second career, volunteer to lead two clubs in our homeschool group, and renew my state teaching license all while homeschooling two children and fishing crayons out of the mouth of a third. Nevermind the fact that I don’t do well under pressure. Nevermind the fact that my middle child could run for president and win out of sheer force of will. Nevermind the fact that I’m too busy to remember to brush my teeth. I could do it all. Of course I could do it all. Every working/homeschooling/stay-at-home/married/single mother can do it all. Pressure to get up on time. Pressure to get out the door. Pressure to get all our work done. Pressure to get to bed. Pressure to start the whole thing over again when the sun rises. It would be so much easier to send the girls off to school and put the babe in preschool. I’d have time to myself for writing. Planning. Organizing. My children are the heart of my home. They belong with me, and I with them. My children would dissolve in a school environment. They need flexibility, encouragement, and time away from the crowd. My children have their own individual passions. They deserve time to pursue them and explore other interests. My children learn at their own pace. They need to be challenged and supported in equal measure. I’m not willing to offer my children’s well being as collateral for my own desires. Yes, my health and my sanity are worth protecting, but I can do that while providing my children the same courtesy. If I threw in the towel now and put everyone in school, we’d lose the potential for course correction. Someone else would be in charge, and we’d be along for the ride. I may not love homeschooling, but I love my children. And at least with homeschooling I know how to fix what’s not working. I know how to rekindle that spark and move ever forward, confident once again in the path we have chosen. And so that’s what I’m going to do. I’m going to pull out my shovel, dig a path to deliverance, and correct the living daylights out of our course so we can get back on the road to actually learning something. I Used to Be A High School English Teacher. Here’s Why I’m a Homeschooler Now. How did I not know February is Our Lady of Sorrows??!! Thank you for this insight and perspective. I would love to homeschool someday, but my son seems to thrive on the competition that comes with a more traditional classroom setting. However, once he learns the basics and my daughter’s personality becomes more defined, I am certainly hopeful that we will still be able to homeschool. 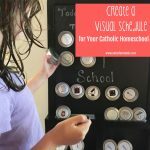 One thing I keep in mind from another parent that homeschooled – the advice to keep “homeschool time sacred.” Even if it seems easy to go out for coffee or lunch, or meet up with friends, remember that your kids have to do their work. She avoided co-ops at that time because she felt they disrupted the flow of their school routine. 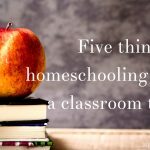 I love learning how others homeschool – I like to think I’m building a homeschool arsenal! That’s January for me. Coming off of the holidays and HAVING to get back into the grove is so tough. Plus, I’m rather bored with our curriculum by then and not wanting to even think about the coming school year. By mid February, I’m at least resolved to moving forward to complete the school year and making a plan for the next one. I don’t homeschool, but I have a great deal of respect for those who do. I love how people are totaly redefining what homeschooling looks like. 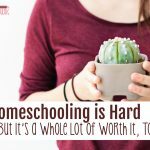 I liked your honesty and I’m going to share this for my homeschooling friends who need a little encouragement! Thanks for the reminder to stop and re-focus. I need to homeschool in a way that fits my family’s needs. Even if it doesn’t necessarily look like much from the outside. I am so glad that Jen shared this post with the working homeschool mom’s group. Some days I think I will send my son back to public school, but I know that’s not what is best for him. So yes, I too don’t always like homeschooling, but I love my child so here we are, making it work while I work full time. One day at a time. Absolutely – one day at a time! Your post is a great reminder to stop before I get too far ahead of myself. Too often I have dreams and aspirations, and then I get the smackdown too (apparently the only way God can get my attention) and realize that my kids need my full attention right now. Thanks for sharing this – it’s very timely. YES! This is such a great post and so true. We are in a season of me thinking that yellow bus looks tempting and this is a great reinforcement of my determination to do what is best for them. Thank you! Oh, wow. I hear you. We’ve had a tough couple of years and I find myself not loving homeschooling this year either, which is sad to me because I always have, and we’ve been at it for 13 years. But having looked at the other options in all seriousness, we’re going to plug forward too, making course corrections until it all makes sense again. Great post on not giving up when it gets hard! “And so that’s what I’m going to do. 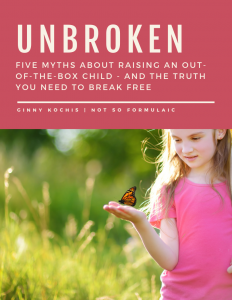 I’m going to pull out my shovel, dig a path to deliverance, and correct the living daylights out of our course so we can get back on the road to actually learning something.” LOVE THIS! It is so true that we are sort of the makers of our own destiny when homeschooling. We just have to be brave enough to ditch something and move on if it isn’t working. There are certainly plenty of other options to try! As a single mom who homeschools while trying to keep my freelance writing business and my blog going, I relate to this so much! I was literally just saying to a friend this past week that I don’t love homeschooling, but I’m doing it for my son. Great post! 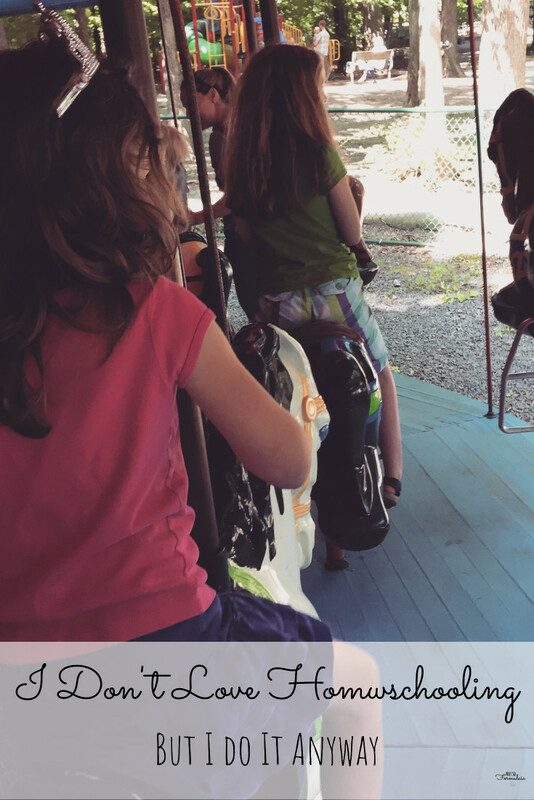 Looking back, deciding to homeschool was the best decisions we could have made. We had ups and downs in our homeschooling journey, but at the end you look back and see that it was all worth it! February and I are not friends. I’m so grateful it is a short month. So yes, I don’t love it; some days it is my enemy; others it is a joy beyond words, but mostly I do it for our family because it is right for us. You’re so welcome, Kelley. Wishing you a peaceful month. Oh Lord how I needed to read this today. 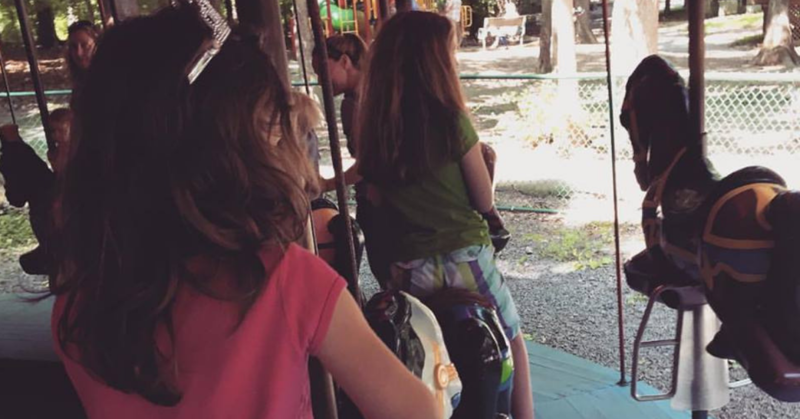 I have been agonizing over the possibility of sending my youngest to school. I have been stuck in February for about 2 years now. Yesterday I finally decided that I really do need to keep her home. I felt really depressed about it this morning, but reading this gave me hope.